Sunday, September 23, 2018, 2 – 4PM. 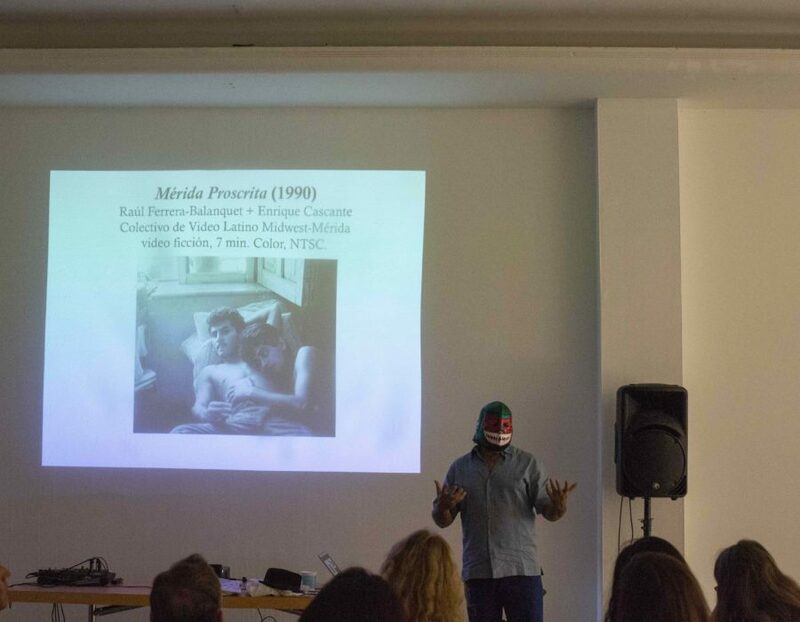 (De)Encounters and The Weaving of Relational Memories in the MeXicanx_Latinx Territories (1987-2017) is a performance talk that is part of Aestesis Decolonial Transmoderna Latinx_MX (1987-2017), which is supported by the Mexican cultural institution Fondo Nacional para la Cultura y las Artes (FONCA) 2017. 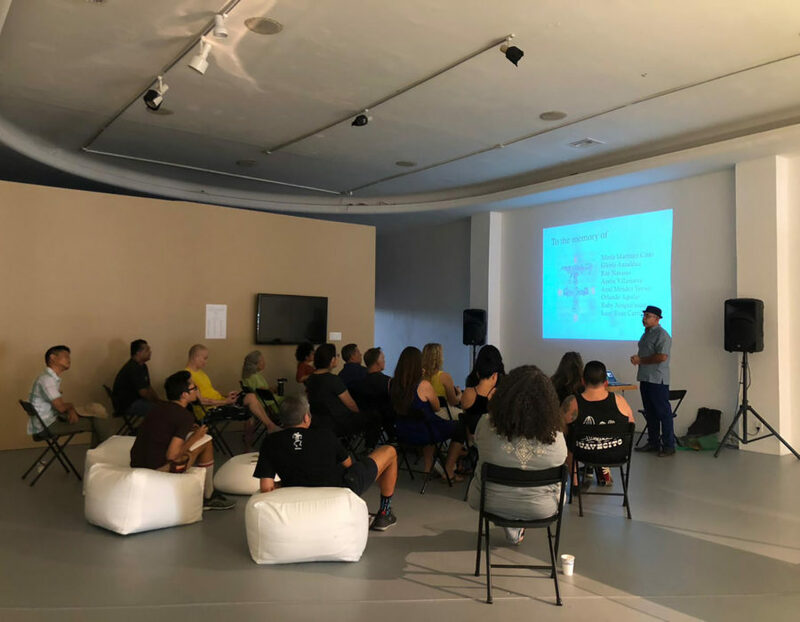 The project consists of an investigation, the writing and publication of a book and a cycle of seven conferences that will take place in Mérida, Yucatán, Mexico City, Los Angeles and Chula Vista in California. 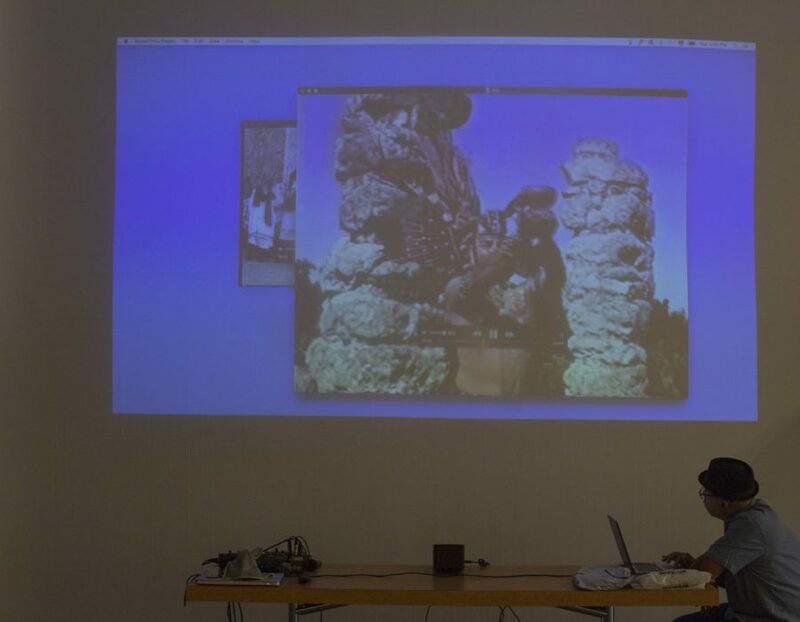 The performance talk proposes a border thinking cartography in which the understanding of the intangible, irregular mobility, the decoloniality of sensing, and transnational political identities are fundamental axes of cultural production. By interweaving subjective experience and oral expression with creative processes and critical thoughts, the performance talk aims to imagine the effects of Gloria Anzaldúa’s border thinking, Monica Mayer’s creative feminism, Cherri Moraga’s theory of the flesh, Enrique Dussel’s transmodernity, the indigenous hemispheric thought emerging in Abya Yala/Turtle Island, the decolonial aestesis of Walter Mignolo and Rolando Vazquez, along with Antonio Prieto’s performanceología theory, the transnational imaginary of Ramón Saldivar and the poetics of relations of Edouard Glissant. This conference offers a subjective ethnographic storytelling departing from the relational time of memory, the corporal experience embeded in social relations, participation in curatorial projects, as well as collaborations. At the same time, the performance talk navigates simultaneous temporalities and multiple locations (Mérida / Sureste-Campeche-Quintana Roo-Chiapas-Oaxaca, Tijuana BC-San Diego, Mexico City, Los Angeles, Chicago, New York, Barcelona, Amsterdam, Berlin) to demonstrate how the border of the national state has been erased, once again, by the migratory and immigration experiences. 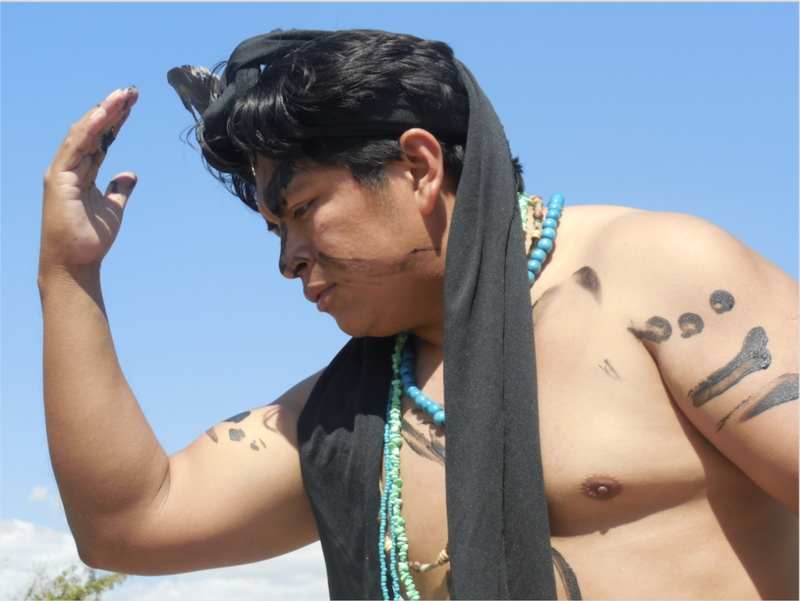 Isaac Esau Carrillo Can, Uj (2014), performance and installation, photo documentation by Raul Moarquech Ferrera-Balanquet. Through the act of remembering (present-past) in a relational time such as memory-diary-testimony, the performance talk elaborates a subjective interdisciplinary journey through conferences, exhibitions, events, festivals and biennials such as Transitio_MX 03 (2009), Arte Nuevo InteractivA (2001-2013), Mix México (1997), Latino Media Arts: Theory and Culture at the Whitney Museum of American Art in New York City(1993), Borderhack, Tijuana BC, (2001), and the foundation of Latino Midwest Video Collective-Mérida (1989). Ferrera-Balanquet proposes to rethink and (de)(alter)(post)modernize the modern colonial eurocentric aesthetics and to think from and with the artists of our transnational territories such as Monica Mayer, Juana Alicia, Maris Bustamante, Latino Midwest Video Collective-Merida, Alma Lopez, Harry Gamboa, ASCO, David Avalos, Pablo Helguera, Rafael Lozano-Hemmer, Coco Fusco y Guillermo Gómez Peña, Ricardo Dominguez + Electronic Disturbance Theater (EDT), Osa Hidalgo, among others. (De)Encounters and The Weaving of Relational Memories in the MeXicanx_Latinx Territories (1987-2017) pays homage to the memory of Gloria Anzaldúa, María Martínez Cano, Isaac Carrillo Can, Ray Navarro, Aaron Villanueva and Ruby Arngna’naaq. 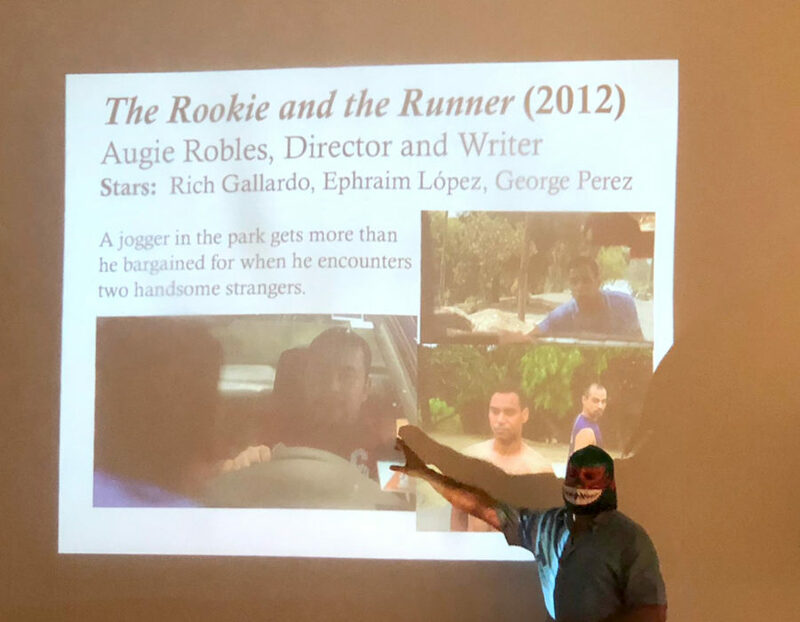 Dr. Raúl Moarquech Ferrera-Balanquet, (De)Encounters and The Weaving of Relational Memories in the MeXicanx_Latinx Territories (1987-2017). Courtesy of Los Angeles Contemporary Exhibitions (LACE). Dr. Raúl Moarquech Ferrera-Balanquet has published in Estudios Artísticos: revista de investigación creadora, No. 4, Bogotá, Colombia; Andar Erotico Decolonial, Raúl Moarquech Ferrera-Balanquet, ed., Ediciones del Signo, Buenos Aires, Argentina; Artecubano, Vol.3-4, Havana, Cuba; SalonKritik, Madrid, Spain; PublicNo. 41, Toronto, Canada; Bienal de La Habana para leer, Universitat de València, Spain; Felix: A Journal of Media Arts and Communication, New York, USA. 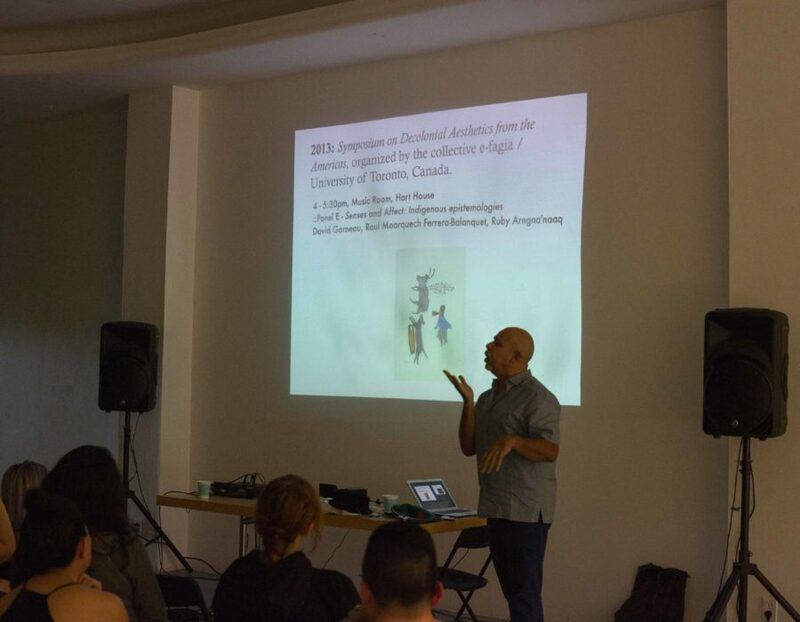 His artwork, media arts and performances have been included in Territorios Inexplorados Encuentro de Arte Acción en Yucatán, Merida; Ancestral Memories, Jamenson Gallery, Duke University, USA; Haceres Decoloniales, ASAB Gallery, Bogota, Colombia; BE.BOP 2013, Ballhaus Naunynstraße, Berlin, Germany; DysTorpia Media Project, Queen Museum of Art, New York; Decolonial Aesthetics, Nasher Museo, Durham, North Carolina; Unbroken Ties: Dialogues in Cuban Art, Museum of Latinoamerican Art, Long Beach, California; 33ro Festival Internacional Cervantino, Leon, Mexico; Cuba: La Isla Posible, Centro de Cultura Contemporánea de Barcelona, Spain; Selected Body Parts: A Physical Examination, LACE, Los Angeles, California; The Gulf Crisis TV Project, 1993 Whitney Museum of American Art Biennale, New York. 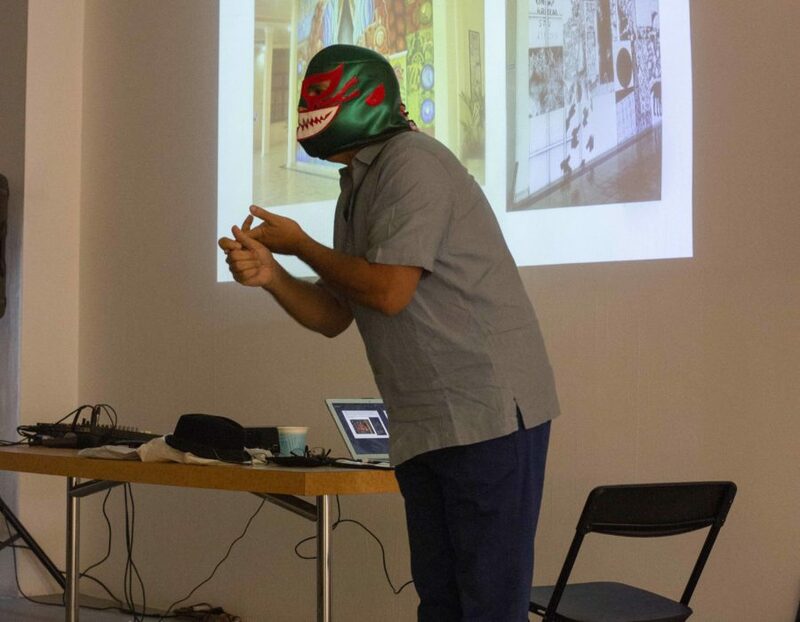 In addition to a Fulbright Fellowship (1997-98), Ferrera-Balanquet has been awarded grants and fellowships from FONCA (2017), Foundation for Contemporary Arts (2017), Prince Claus Foundation (2011), Fondo Cultural US/México (2001), The Australian Network of Art and Technology (2000), National Endowment for the Arts (1993, 1995), and The Lyn Blumenthal Video Foundation (1993).